In the years after the Civil War, the greatest lawman to operate in the untamed wilderness frontiers was US Deputy Marshal Bass Reeves. An ex-slave, Reeves took on the silver badge because he believed all men to be equal in the eyes of the law, and so he would become an agent of that justice. In his actual career, he captured over 3,000 felons and survived 14 gun battles. A crack shot with both rifle and pistol, he was never wounded once. Here, in this second volume of an ongoing series, the Deputy Marshal finds himself teaming up with a spitfire of a she-devil known as Quickshot Katy, chasing down desperate train robbers, protecting an army gold shipment and defending a vicious killer against an entire town demanding blood. 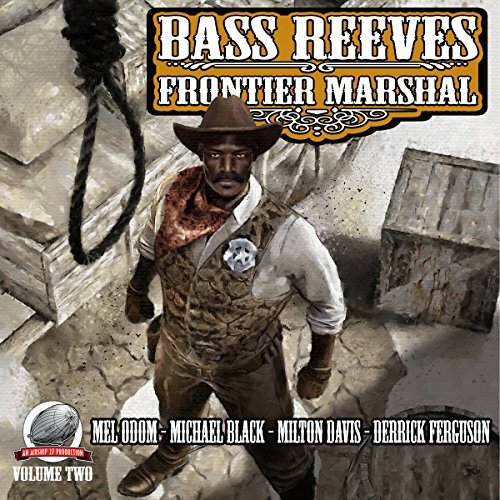 Writers Milton Davis, Mel Odom, Michael Black, and Derrick Ferguson have saddled up to deliver four new action-packed western yarns starring the one and only Bass Reeves - frontier lawman.